Whether you are a professional MMA Fighter looking to cut weight or if you train to maintain high fitness levels and are searching for ways to improve your diet then starting a diet log is a really effective first step. With a plethora of advice out there regarding nutrition, we won’t be covering well trodden ground in this article, but aim to outline some of the benefits of keeping a journal of what you eat as part of an effective diet and nutrition programme. This article is by no means specific to the field of MMA nutrition and could be applied to help you form the building the blocks of any successful diet. It’s obvious that by keeping diet log, you will be more aware of what you are eating. The added benefit of this is that you will think twice before putting away that extra doughnut that’s going spare in the office canteen, knowing that you will have to add it to your list. Seeing things down on paper will help you to spot any deficiencies in your current diet with regards to getting the right balance from the major food and nutrition groups. You might find that you’re easily meeting your 5 a day fruit and veg quota, but are lacking in your dairy intake for example. This is something that could prove useful if you notice that after eating certain foods, you feel discomfort, bloated etc… This could be down to portion sizes or a natural intolerance to certain foods that you be best to find a suitable alternative for. 4 – DON’T FORGET ABOUT THE FLUIDS! It’s common knowledge that the majority of us do not drink enough water, so keeping track of your intake can certainly help with this. If you have not been in the habit of monitoring your nutritional intake, it is easy to discount other fluids and their effect on our diet. In terms of their impact on our recommended daily nutritional allowances, you may be shocked at the sugar and calorie counts of certain soft drinks. Once you are in the full swing of your newly formed diet, you may start to adopt the food is fuel mind set and flavour may take second place. 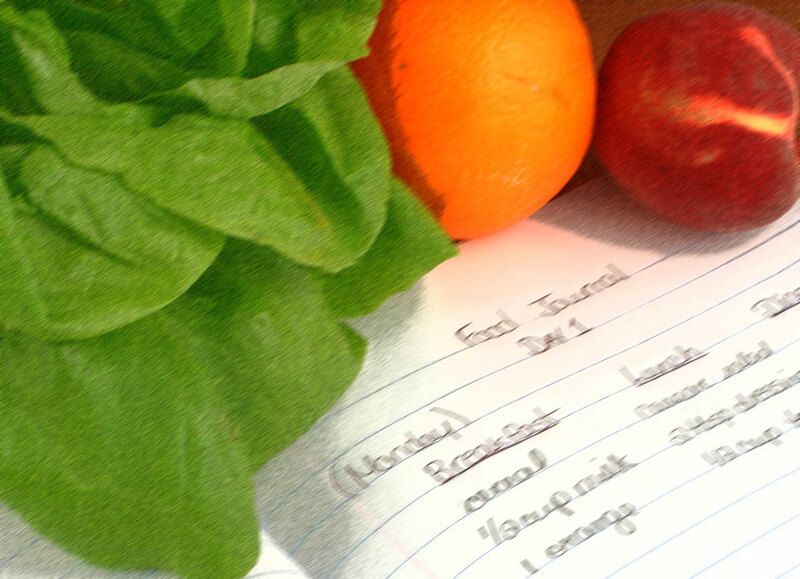 By keeping a food journal, you may also want to make a note of your mindset as you have eaten certain foods. In addition to craving particular flavours, most notably sugar and salt, your journal may reveal some interesting findings about your habits, in relation to your mindset when you eat certain foods. Are you eating at certain times of the day to fill a boredom gap, procrastinate on doing things that need to be done etc…? Being aware of the mental aspect of dieting will help you prepare to fight the need to give in and cheat during the early stages of your new diet. Keeping a record of your habits for two weeks should be sufficient enough time to give you a good background and insight in to your current diet. For more detailed advice around building a tailored diet we would advise seeking out professional advice, making sure to avoid ‘tips’ from companies that may being trying to sell you a product at the end of it! Articles that explain the bare basic facts about why you should eat certain foods and their impact on our bodies, such as thisAi? ?MMA MEAL PLANNINGAi? ?article on the Body Building.com website are good examples of the kind of impartial stats and facts that you should be looking out for. This entry was posted in MMA Nutrition Advice, News and tagged MMA Nutrition on 28.10.2014 by MMAFightwear.